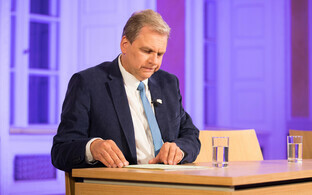 Based on a September poll, just four political parties would earn seats in the next Riigikogu, it appears from the results of a nationwide survey commissioned by ERR's online news portal and conducted by Turu-uuringute AS. If Riigikogu elections were held tomorrow, just four of the six political parties currently represented in the Riigikogu would exceed the 5% election threshold. In addition to the Free Party, which has remained below the critical threshold for the past year, support for the Pro Patria Party, currently a junior member of the government coalition, likewise fell below 5% in September. The coalition Centre Party and opposition Reform Party remain the two most popular political parties, earning the support of 28% and 27%, respectively, of voting-age citizens. Compared to August numbers, support for Centre increased 1% and Reform 2%. 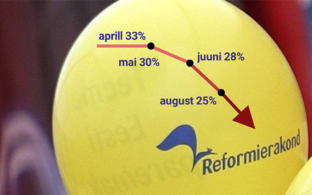 The Reform Party also saw a turnaround for the first time since their ratings began falling following an all-time record high of 33% in April. 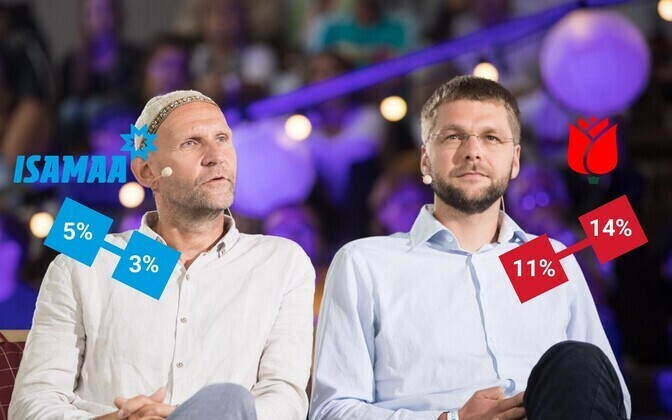 The opposition Conservative People's Party of Estonia (EKRE) saw a decrease in September, falling from 19% in August to 17% in September and ending a streak of monthly increases in support that began in March. 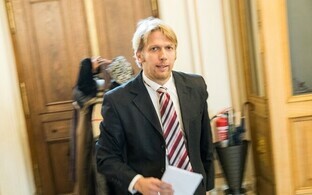 The coalition Social Democratic Party (SDE) saw the biggest increase in support this month, jumping 3% to 14% of voters. This is a sharp contrast to its performance in April, when support for the junior coalition party had dropped to 6%. 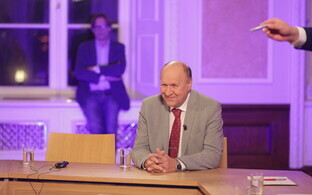 Support for the Pro Patria Party, dropped to just 3%, putting the other junior coalition party below the election threshold for the second time since the last Riigikogu elections; in May 2017, support for the party, still known then as the Pro Patria and Res Publica Union (IRL), had dropped to 4%, and has since then hovered around or just above the election threshold. 3% is the lowest level of support the party has seen since the 2015 Riigikogu elections. The Free Party remained below the threshold as well, earning the support of just 2% of voters; support for the opposition party has remained below the 5% threshold for exactly one year. 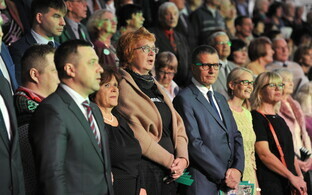 Despite having 1% more support than the parliamentary Free Party, the Estonian Greens with 3% support would still not earn any seats in the Riigikogu. Support for the current Centre-SDE-Pro Patria government coalition totalled 45% in September, with support for the opposition just exceeding it at 46%. 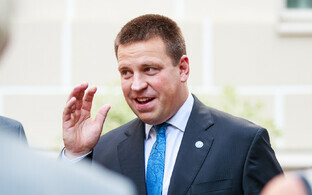 From 4-17 September, Turu-uuringute AS interviewed a total of 1,000 voting-age Estonian citizens in person. The answers of those who indicated no preference were eliminated from the outcome so as to make it as comparable as possible to the outcome of a Riigikogu election; this month, this accounted for 35% of respondents, up from 33% in August. The margin of error does not exceed ±3.10% per 1,000 respondents surveyed. 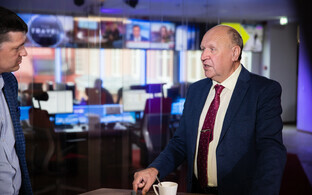 The next Riigikogu elections are scheduled to take place on 3 March 2019.